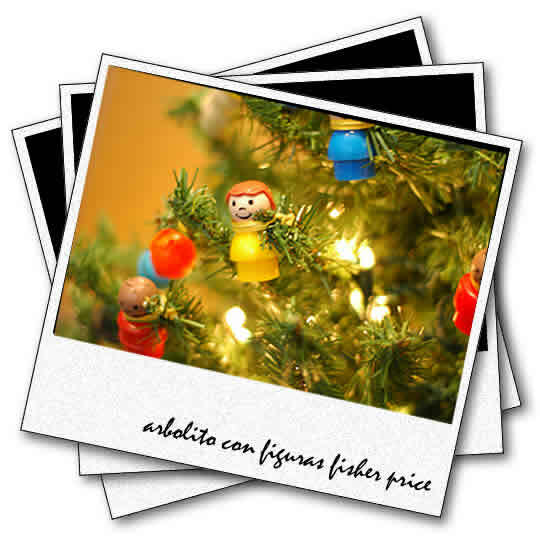 ¿Alguna vez no has querido adornar tu arbolito de navidad con tus juguetes preferidos? Mi arbolito en 1982 tenía mis juguetes de plaza sésamo! This blog seems to get a great deal of visitors. How do you get traffic to it? It gives a nice individual spin on things. I guess having something real or substantial to give info on is the most important thing. This domain appears to get a great deal of visitors. How do you advertise it? It gives a nice individual twist on things. I guess having something real or substantial to say is the most important thing. Simpre hemos adornado con bambalinas o mejor dicho con las bolas navideñas. Amazing! It’s like you understand my mind! You seem to know so much about this, just like you wrote the book in it or something. I think that you can do with some pictures to drive the content home a bit, but other than that, this is wonderful blog. A wonderful read. I’ll certainly return again. This is an awesome read buddy. Good share. Unfortunately I’m having problem with your RSS feed. Don’t know why Unable to subscribe. So anyone else experiencing identical RSS issue? Anybody who can help please respond. Thank you. post a realistic look at the issue. delighted you wrote, i really like finding views that interesting and worthwhile in nature. You are not the regular blog writer, man. You certainly have something important to contribute to the web. Such a great blog. I’ll be back for more. I have read a few of the articles on your site now, and I really like your style of blogging. I added it to my bookmark blog list and will be checking back soon. Pls visit my internet site also and let me know what you think. details a realistic look at the situation. terrific, It is nice to see articles that enlightening beneficial anyway. There is obviously a great deal to learn about this. I do believe you’ve made some really good points in Features also. Once more information. come across material am glad I found customer, and always looking for. Hey, awesome website. I came across this on Bing, and I am happy that I did. I will definately be returning here more often. Wish I could add to the conversation and bring a bit more to the post, but am just reading as much info as I can at the moment. I’d like to understand why your RSS feed won’t work in my browser IE4. How can I arrange this? Hey, cool site. I came across this on Yahoo, and I am over the moon that I did. I will definately be revisiting here more often. Wish I could add to the info and bring a bit more to the post, but am just absorbing as much info as I can at the moment. Very a helpfull post – A big thank you I wish you dont mind me writting about this article on my blog I will also leave a linkback Thanks And if you ever need information about Mallorca Immobilien & Mallorca Real Estate, please visit my blog aswell! hank you for taking the time out of one’s busy schedule to write this. I value your time and consideration in providing a well written report. Many thanks for covering on interesting events. It is very nice to come across an article of this high quality. It led me to some new ideas. I loved this piece of writing. It was a great article that was very interesting to read. Bien rédigé. Je travaillerai en Suisse. Ce sera super. Je tiens à vous remercier pour votre article. they produce a feeling that you can’t have with the modern cameras. This film then had to be developed to obtain photographs.